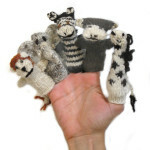 Wildly Woolly brings you unique, gorgeous handmade soft toys and kids’ bedroom décor. All the items have been knitted or crocheted from either organic cotton, or naturally plant-dyed sheeps wool – yes we have sheep in Kenya! These beautiful gifts have been handmade by a women’s group in Kenya called Kenana Knitters. The primary purpose of Kenana Knitters is to empower women in the local area, providing them with a source of income that goes directly into their hands. Fair wages, flexible employment, family friendly environment and investment in the women’s overall welfare is just the base. The profits go back into helping the women, and although not Fair trade registered, due to the high costs involved in being so, they operate under the same principles, and the women get their say in where they want the profits to go. These beautiful creations make perfect baby shower gifts, fabulous additions to a Safari themed nursery, and just right for Mums who love Organic and Natural. Support the wonderful women of Kenana Knitters, go shopping now!